At the end of last year I was looking for something unusual and spectacular to give to my boyfriend for a special birthday. 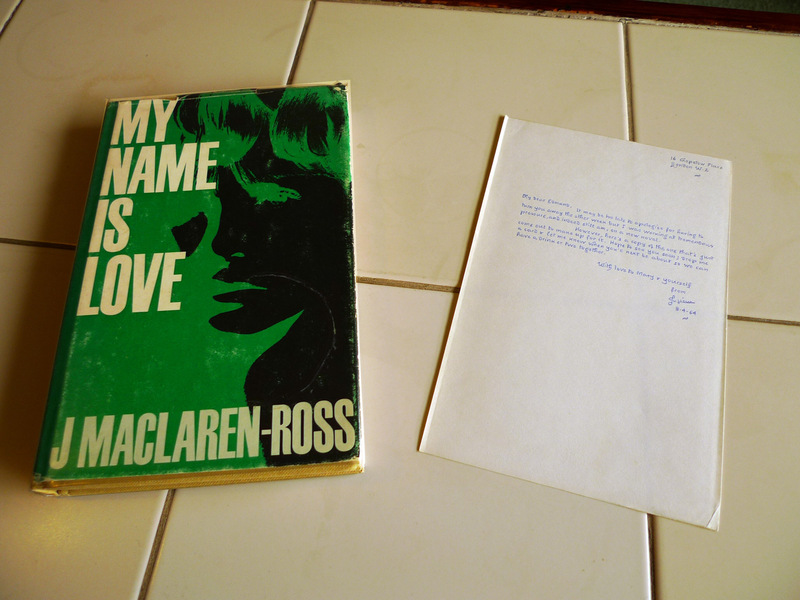 When I found a signed 1st edition of a Julian Maclaren-Ross novel, My Name is Love, I knew I’d found just the thing. 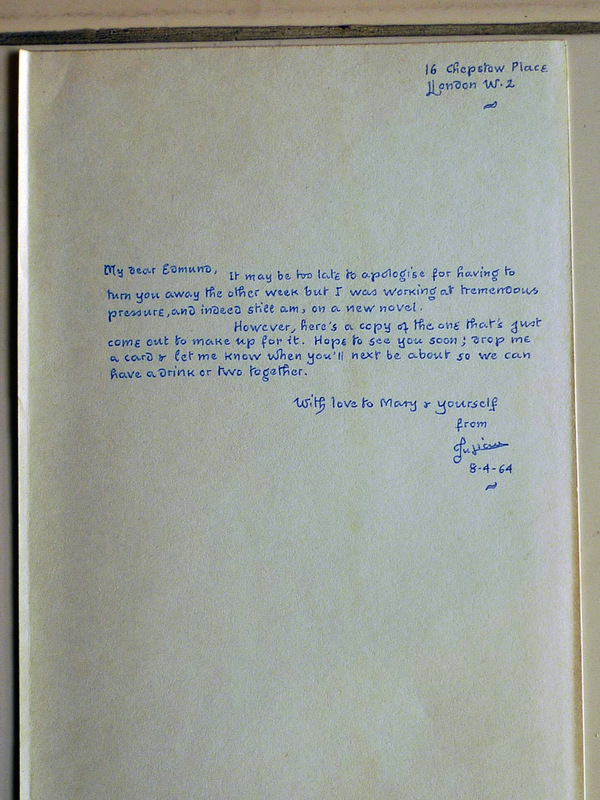 Although it was very expensive it was a two-for-one deal because included was a letter that Julian had sent, along with the book, to his ex-literary agent Edmund Hughes; this meant that I could have the signed letter myself and the signed book would still make an incredible gift. The novel is based on Julian Maclaren-Ross’ obsession with George Orwell’s widow, Sonia Brownell, who it seems was a bit of a temptress. I’m not quite sure what it was that Julian saw in her – she doesn’t seem to have given him very much hope at all – and he surely could have done better for himself because he was, after all, a fabulous talent. That said, this particular novel was not amongst his greatest (for anyone who is not familiar with his work, make a start with Of Love and Hunger which can’t fail to please and then look to the short stories for further evidence of his great talent). I guess it is quite often the case that when people are obsessed, their judgement fails them slightly. Anyway, Sonia Brownell was a lucky lady to be thought of so highly by such an incredible writer. It’s not just the writing that is appealing when it comes to Julian Maclaren-Ross – his intelligence, his dandyism, and his ability to be so prolific are all awe-inspiring. 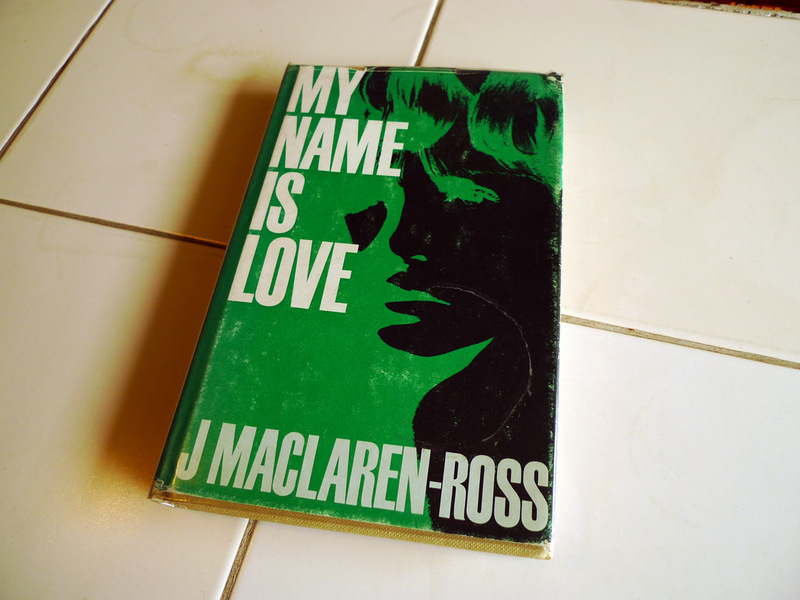 A turbulent lifestyle, a great love of alcohol and an inability to keep any of his hard earned money for a rainy day meant that Maclaren-Ross was often firing off articles, short stories or even novels just to pay off some debts or to have a few pounds to live off for a moment or two. Going back to the novel and the letter, what makes it even more special is that Edmund Hughes was very kind to Julian – even when Julian had moved on to another literary agent, Hughes remained his friend and supporter and would often slip him a fiver when he was in desperate straits. Read Paul Willetts’ wonderful biography Fear and Loathing in Fitzrovia (Dewi Lewis Publishing, 2005) for more about this and the many other scrapes Julian would get himself into with his irresponsible behaviour and his self-destructive streak. Even though Julian sounds like he was an incredible egotist – he would always talk about himself and had very little interest in anyone else – I know I would have loved him if I met him. I cried at the description of his death in Willetts’ biography – he died of a heart attack caused by “years of fatty food, lack of exercise, stress, drinking, smoking, and amphetamine use.” The heart breaking bit for me was that his final words were “Graham Greene” and “I love you”. Julian had been a big admirer of Graham Greene’s work and had worked on an adaptation of Greene’s A Gun for Sale. 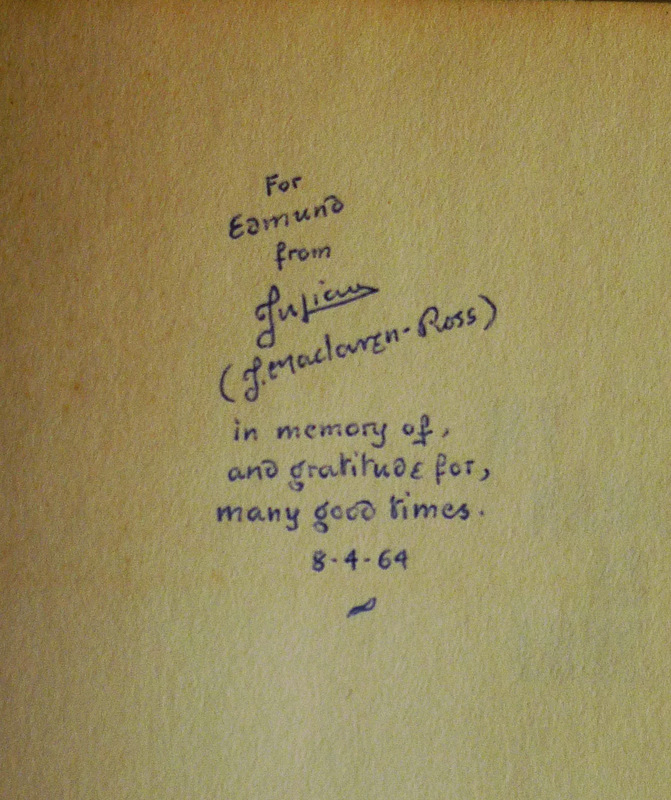 Strange that he should say his name on his death bed – maybe Graham Greene’s work meant as much to Julian as Julian Maclaren-Ross’ work means to me; we all have a bit of the hero-worshipper in us somewhere. 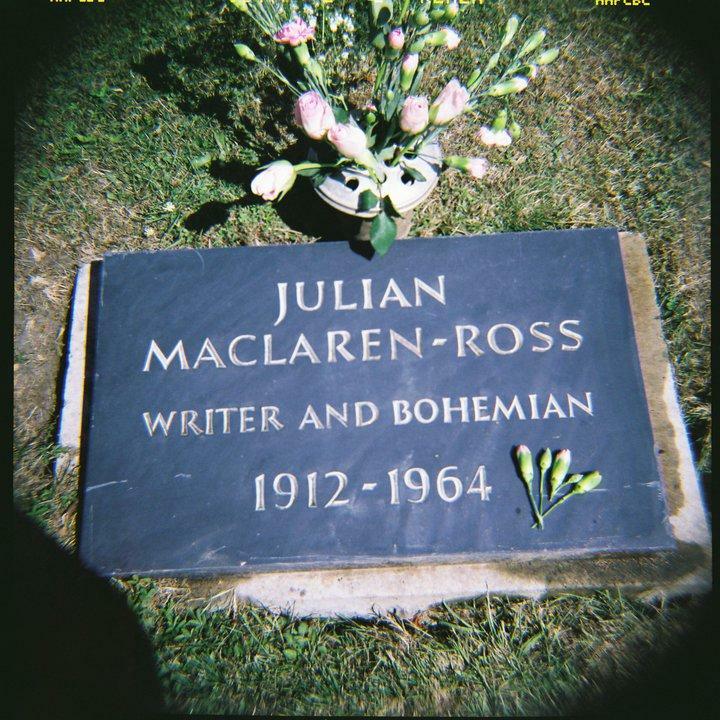 A couple of years ago, when I still lived in London, I realised I lived fairly near where Julian Maclaren-Ross was buried in Paddington Cemetery (near Mill Hill). I had read that his was originally an unmarked grave, but that a few years ago the writer Virginia Ironside had kindly led a fundraising campaign to help to get something a bit more stylish and dignified and permanent to mark Julian’s life. 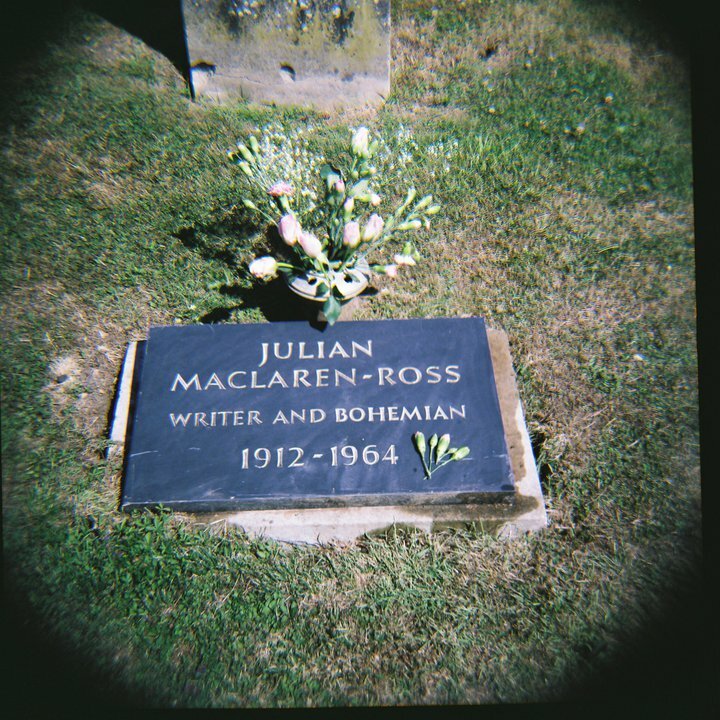 I went to visit the grave and was sad to see that it was a little muddy and there were no flowers there – luckily, as any worthwhile hero-worshipper should, I had thought ahead and bought some pink carnations; they were the flowers Julian Maclaren-Ross used to wear in his buttonhole. I cleaned the grave a little and left the flowers there for Julian and felt a little sad that he didn’t seem to have regular visitors. Some people deserve far more than they get in this world and a talent like Julian Maclaren-Ross’ deserves far more hero-worship as far as I’m concerned. A gravestone befitting to such a stylish man. It will be so much harder now I don’t live in London but I must get myself over there to see Julian again some time soon. 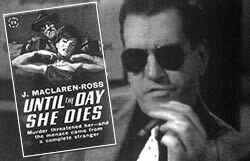 I shall definitely post more about Julian Maclaren-Ross on Hero Culte – expect to see something about his involvement in the world of film at some point.